Excuse 1. When he said ‘Kingdom of God’, what Jesus really meant was ‘transfiguration’. Jesus then promised His disciples that some of them would see the “kingdom of God” before they died: “I tell you the truth, some who are standing here will not taste death before they see the kingdom of God (Luke 9.27). 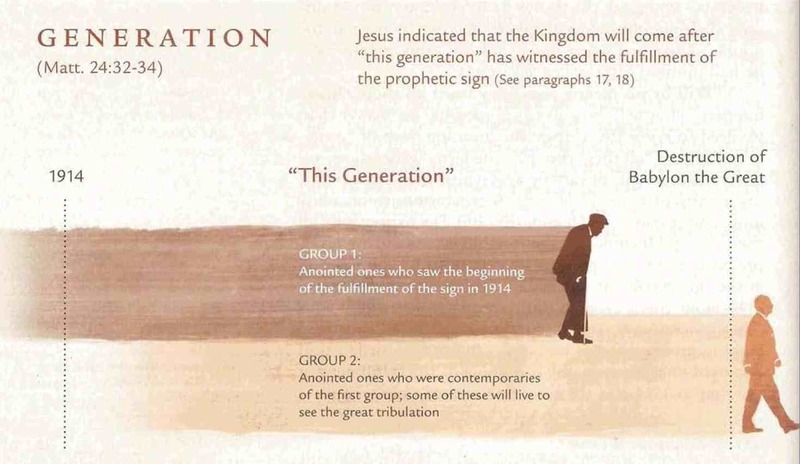 While there are numerous explanations as to what Jesus’ words here mean, the simplest explanation, especially in the context, is that Jesus was foretelling the transfiguration which was to come within a week’s time. Immediately after the suffering of those days the sun will be darkened, and the moon will not give its light; the stars will fall from heaven, and the powers of heaven will be shaken. Then the sign of the Son of Man will appear in heaven, and then all the tribes of the earth will mourn, and they will see the Son of Man coming on the clouds of heaven with power and great glory. And he will send out his angels with a loud trumpet call, and they will gather his elect from the four winds, from one end of heaven to the other… Truly, I say to you, this generation will not pass away until all these things take place. The transfiguration bears no relation to any of this, nor to his other predictions about what the Kingdom would be like – the meek inheriting the Earth, the last becoming first and so on – once it was established. The Kingdom of God as Jesus imagined it (and he did imagine it) was to be a far grander affair than a symbolic encounter ‘witnessed’ by a few disciples. It was to be seen by the entire world and would have far-reaching and long-lasting consequences. The transfiguration, no matter how much Jesus’ raiment is made to shine, simply doesn’t qualify. It can’t possibly be, then, what Jesus had in mind when he predicted the end of the age and God’s rule coming to the Earth. There is a fundamental dishonesty in claiming that it is.